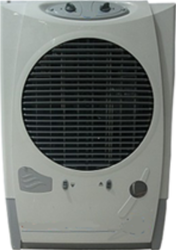 With our vast experience knowledge in this field, we are engaged in providing a quality-assured range of Bajaj DC 2014 Air Cooler. 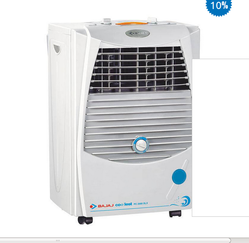 We are successfully meeting the varied requirements of our clients by providing the best quality range of Bajaj Air Cooler. - Latest state-of-the-art design, sleek and all new ultra modern looks. - Large water tank capacity-50 Ltr. with continuous water supply system. With the valuable assistance of skilled team of professionals, we are engaged in offering an extensive range of high-quality Bajaj Desert Cooler.